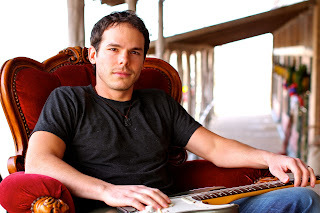 This interview is week 12 of Sean Claes' 52 Weeks of Austin Music Interviews. 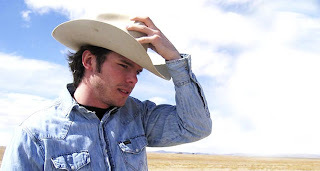 Granger Smith is one of those country/Americana singers that you see in concert or hear on the radio and think “he’s going to be big someday.” At least that’s what I thought when I saw him play in 2010 at the Kyle Fair and Music Festival. He had stage presence, a humble swagger, and songs that were catchy and lyrically powerful. But my introduction to him went a little earlier when I learned of his journey to Denver Colorado to visit a young fan with retinal blastoma (see my 2009 blog here: http://seanclaesdotcom.blogspot.com/2009/07/story-of-paul-granger-smith.html). When I learned about that trip, I saw a man with a heart as big as his talent. He also has a fun sense of humor, which he displays in several of his YouTube posts and even through a rap song dedicated to the plane his grandfather flew in World War II – The B-24. So, he’s got the trifecta of interesting in my book, but I never had the chance interview him for some reason… that is until now. I learned that he was embarking on another heartfelt journey, this time to benefit the Boot Campaign. On April 15, for the second year in a row Smith will begin walking from Austin, Texas to Fort Hood in Killeen in combat boots to show his gratitude and support of our military men and women. I thought now was a good time to stop watching him from a distance and get to know the man behind the music and the heart the size of Texas. Sean Claes: When you were 20 you landed a publishing contract that led you to spend four years in Nashville. How did that shape your career? Granger Smith: Loved my time there. The older writers that I was paired with taught me how to think about songs. How to "craft" them for a purpose. Ultimately it became a factory of creativity and I longed to get back and start playing live again. Claes: You garnered your first Top 10 on the Texas Music Chart in 2008 with “Colorblind.” Tell me about that track. Smith: It will always be a special song to me since it was my first radio single and first top 10 on the TX Music Chart. I set off on a massive radio tour for that song and began relationships with the radio folks that I'm still friends with today. Claes: You’re 8 albums into your career. When you look back right now, is there any album or track that you are more proud of than the others? Smith: Each of them are like my children, special in their own way. Each collection of songs is a diary of that journey in my life. Listening back reminds me of old friends and places I lived when I wrote it. I honestly can't imagine one being more special than another. However, the last 5 starting with Livin’ Like A Lonestar I recorded and produced myself in my home studio. I definitely worked harder and longer for those. Claes: I remember visiting your YouTube Channel a few years ago when you would put up funny little skits and updates. My favorite was a “Birthday Card” to Texas Music Chart and Katie Key. Smith: I've always loved to make funny videos. My brother and I have been doing it since we were kids when we would borrow dad's camera. My brother, Tyler travels with us now as tour manager and that's why we still make these videos. Our latest endeavor- my alter ego "Earl Dibbles Jr." has definitely been the mecca of all of them. I honestly think one day soon Earl will be more popular than me. Smith: My granddad was the pilot of a B-24 in WWII. I got the amazing opportunity to take a flight in one and film a video of it. I realized that if I put out a video of me documenting a B-24, no one would really care especially our younger fans. So, I decided to write a rap song get the interest up and still bring light to the amazing aircraft. Claes: Do you have a military background? How did supporting the US Military become a passion? Smith: Negative. Not besides my 2 granddads, one in Europe and one in the Pacific for WWII. I was in the Corps at Texas A&M and many of my friends entered active duty. I've always felt a little guilty I'm able bodied and live this fun life in music while they protect my freedom. I feel that it's my civilian duty to give back much. Claes: You’ve toured several times for the USO. Where's the most interesting place you’ve performed? Smith: Some of the smaller Forward Operating Bases (FOBs) around Baghdad were a huge adventure. Those men and women were tough out there. Surrounded by city and very isolated to the bigger US bases. We couldn't walk anywhere in the open and had to jump in the bunkers many times which I loved because I'm an adrenaline junky. Those late night helicopter flights in low over Baghdad were pretty serious too! Claes: You’ve also performed at the White House. How did that come about? Smith: Through our USO tours we became friends with some people in the White House. They first invited me to play the White House staff Christmas party a few years back. That led to a big party on the south lawn for the Wounded Warriors with George W. Bush himself and then we played 2 going away parties for GW. Amazing times. Claes: You wrote a modern-day theme for Texas A&M “We Bleed Maroon.” In 2007. How awesome of a legacy is that to leave? Smith: I never intended it to end up that way. I just wrote a little song about all I knew of the school. My experiences and my families. “We Bleed Maroon” really took off on it's own. Smith: My wife gave me the title because we had been writing letters to our unborn children. We always liked the name London for a girl. Her family is from over there and we got engaged over there. I loved the title and wrote it. We now have a 6 month old little girl named "London"
Claes: In February, you released Live At The Chicken. As a proud graduate of Texas A&M was it important to record at The Dixie Chicken? Smith: Live at the Chicken- I've always wanted to record a live album and it seemed like the perfect time. Of course College Station made sense as the city and the Dixie Chicken had the vibe and character that we needed to live with the record. I wanted something different that people could remember and be proud of. We moved the pool tables out of the way, brought in a stage and Live at the Chicken was born. Claes: You just released the video to your new single “That's What I Do With It.” Tell me about that track. Smith: I wrote this a couple of years ago for the Poets & Prisoners album but decided to hold it off because I didn't want it to get lost on a record. Turned out to be a good idea. We launched it with this year's 100 Mile Soldier Walk of mine and it fit perfectly. I wrote it about a soldier returning home and starting over in his new life as a civilian. I wanted to make it as positive as possible. "I survived for a chance to swing for the fence. So when the pitch comes rolling in, that's what I do with it." Claes: Speaking of… on April 15, you’ll be lacing up boots and beginning a 100 Mile Walk from Austin to Killeen in support of our military. This is the second year you’ve done it. Tell me a little about why you’re doing it. Smith: I'm doing it to raise awareness, moral and patriotism for our active, reserve and retired military. To remind people that we're still a country at war even though we don't see it every day. These men and women sacrifice their lives so that we can live ours so freely and we can't forget to thank them for that. This walk is a small sacrifice on me to represent the ultimate sacrifice that they pay for us everyday. Our freedom. Claes: The night before you leave for your walk, you play the Nutty Brown Café (April 14). Smith: We are? I only know one show at a time (laughs). I'm looking forward to it! Great stage and a great venue. I'm sure it will be fun! Claes: Who are some musicians we may not have heard of that we need to check out? Smith: Three words- Green River Ordinance. My favorite band right now. Group out of Ft. Worth and good guys. Claes: What is your favorite place to play in Austin? Smith: Nutty Brown! Best of all worlds. Small intimate setting with a huge stage and plenty of space. Amazing outdoor hill country ambiance. Claes: So, what is the next step for Granger Smith? Smith: Last year on the 100 mile walk we took 236,548 steps. Right now for year two, I'm just focused on taking that first step on April 15th! Let’s send Granger Smith off on his 100-mile walk with a big cheer April 14th at The Nutty Brown (12225 W Highway 290 Austin, TX 78737). 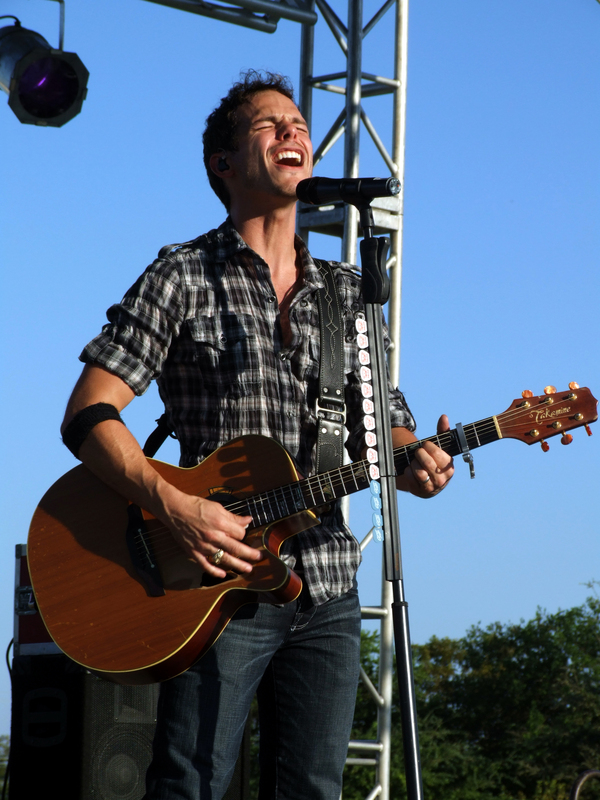 He opens for Brantley Gilbert. Pre-sale tickets are $15 (info at www.nuttybrown.com) or $20 at the door. Then on April 15 come down to South Austin and take part in the launch of the walk. 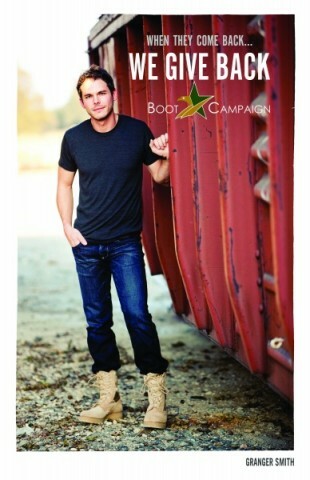 The location and time will be announced on Smith’s Website – http://www.grangersmith.com. If you can’t make it but would like to donate, here’s a link for that - http://www.crowdrise.com/grangersmithbootwalk.